Isn’t it funny how when you reach a life milestone (like moving away from home and going to college), you so quickly start looking ahead to what’s next? For me, I always enjoyed school, but I still couldn’t help but think about life after college, especially about getting a “real” job and doing my own thing. Little did I know how quickly those college years would go by… and man, I wish I could go back so that I could have been more prepared for adulthood. 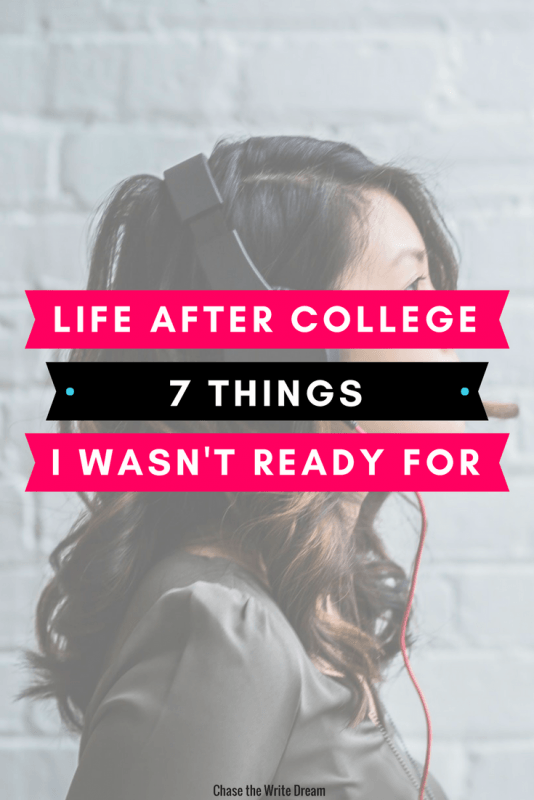 Today, I’m sharing with you seven things I wasn’t ready for in my life after college in hopes that if you’re a student reading this, then you’ll take some time to familiarize yourself with this stuff before you graduate and have to figure it out the hard way, like I did. My student loan journey is a bit complicated and not exactly a “fun” story, so I’ll skip over the details and say that I ended up with a lot more debt than I was anticipating. At first, it really didn’t seem like having a monthly payment was going to be anything major, but as time went on, I could feel myself getting more and more defeated by the bills. It wasn’t that I couldn’t pay them, or pay more than the minimum payment, but it was more about the fact that I knew I had YEARS of payments ahead of me and no quick escape. I hate that feeling – and I’m still learning how to cope with it. Awhile back, I wrote a post called 7 Tips for Paying Off Student Loans and continue to follow those tips for getting the loans off my plate, and while all of that has helped, it still doesn’t change the fact that I was in no way prepared for handling the feelings that come along with having so much debt. Sure, school was worth it and has opened up a wide variety of opportunities for me, but I just hate the feeling of something looming over my head like this. Student loans might not be avoidable for you, and that’s ok. Just do yourself a favor and understand that paying loans goes deeper than just writing a check every month for the payment. I left for college when I was 17 and was so excited to have a new experience. I had roommates throughout college and that was great, but I really looked forward to the day when I would have my own place and not have to worry about living with others. Once I finally did have my own place in my life after college, I realized how lonely I felt. I think this might have been the moment I realized how truly extroverted I am and that not being around people makes me sad and empty. Don’t get me wrong – I love having my own space and time still, but it’s so nice to have someone around to talk to if I want. I’ve made many a moves in my life. I have to say that most of them were ok, but I went through one that was SO tough, and I didn’t realize how much it would greatly impact not only my friendships, but my attitude toward life in general. Normally, I have no issues getting plugged into places and feeling involved somehow, but this particular move left me feeling exhausted, and even depressed at one point. It was all so foreign to me and I felt like a complete outcast. I used to think that all my big moves in my life after college would be full of adventure and excitement, but I quickly realized that some places drain you and just make you feel like a misfit. Even though that move was extremely tough, it made me realize what I really need in my living situation, how much I love being close to family, and what I need to do to branch out of my bubble when things don’t just happen naturally. Social media has grown a ton since I first entered college, and in my life after college, more and more platforms have continued to surface. Back in the day, you didn’t have to worry about using sites like LinkedIn or other platforms to showcase who you are personally and professionally, as well as what you bring to the table. Now, if you aren’t doing something online, then you’re the odd man out. Although I studied public relations for three years in college, nothing prepared me for marketing myself on all of these social channels. If you’re a college student right now, I can’t emphasize enough how important it is to learn how to network not only in-person, but online as well. Take some time to understand the platforms and how they work, as well as how you can best display your skills on each. I promise that if you do that, your life after college will be a little less stressful when trying to find your place in the job world. Have you ever gotten so excited about the idea of making a salary that you took a job that you knew might not be the best fit? Yeah, I did that – it was awful. I felt like a complete fish out of water. I always envisioned myself staying with my first real job for a long while, and yet here I was, stuck in a position I hated with requirements that didn’t even seem possible. I was overwhelmed and had no idea how to best handle the situation I was in. 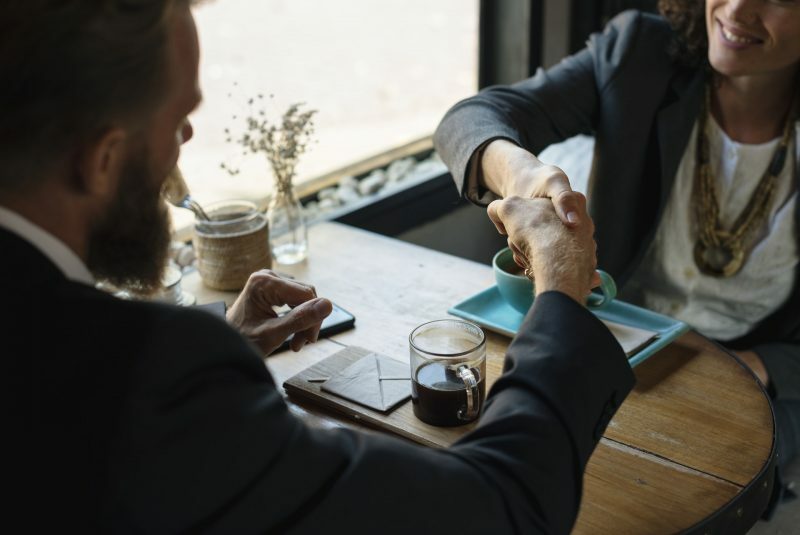 Luckily, I was able to find a new opportunity a few months later that ended up being a great fit, but I still look back and wish that I would have been self-aware of jobs that weren’t a good fit for me. I’m just going to come out and say it – most of you reading this will probably lose at least some friends in your life after college. For me, I lost a best friend that I had known for well over a decade. It hurt bad and there were many days I just wanted things to go back to how they were because of all the memories we shared. But then I remember why the friendship ended. I knew that it was a toxic situation and I needed to distance myself from that person, but it still felt like a part of me was missing. I feel like people prepare you to have your heartbroken by your first love or whoever, but they never really talk about the friendships you’ll lose and how some of them hurt just as bad. Your life after college is going to be busy and full of work, relationships, friendships, events, and so much more. 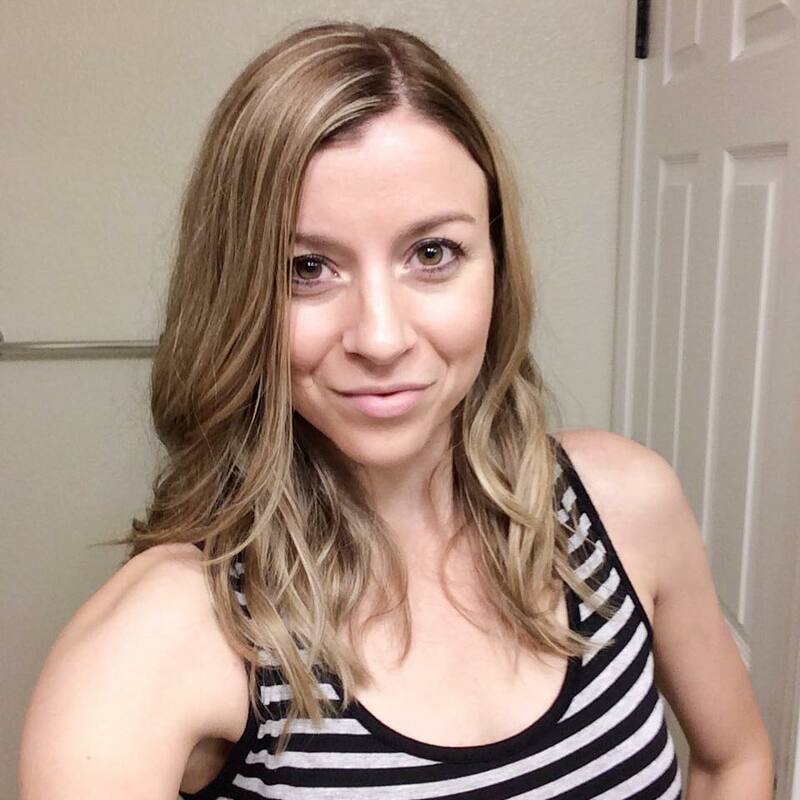 You quickly realize that those dreams you once aspired to chase get shoved onto the back burner because there just isn’t enough time to do it all, and when you do have time, you’d rather sleep or sit on the couch and binge watch something on Netflix because you haven’t had any time to rest. Seriously, this is my life in a nutshell. But I made a pact with myself a few years ago that I was going to schedule in time to do something that I’ve wanted to do. In 2014, that was to start this site. I’d be lying if I said it was easy. There were many days I felt like maintaining it was going to be impossible because I just had too much going on in my own life. But I knew that if I wasn’t going to start in that moment, then maybe I never would. Friend, the truth is that time is never going to be on your side. Your life after college is only going to get more busy as the years go on. Do yourself a favor now and start making time for the things that you want to learn or participate in.